While most of the recent debate around health care has been around cost -- especially the predictions about skyrocketing Obamacare premiums -- there are 100 pages in the Affordable Care Act devoted solely to improving the quality of the health care Americans are paying so much for. Covered California, the state’s Obamacare marketplace, is taking that mandate under the law seriously, and is now making a bold move to improve quality in a concrete way, and ultimately, ensure that California consumers get more value for their premium dollars. Lang says every hospital in California should be able to reach the quality targets, though some may need help identifying and fixing obstacles along the way. The chosen targets require hospitals to perform fewer unnecessary C-sections, reduce hospital-acquired infections, improve patient experience, and reduce excessive costs. For example, C-sections. Hospitals get paid more to do them, and they usually take less time: 40 minutes for a scheduled procedure versus 24-hour on-call staffing for vaginal deliveries. Although C-sections are often medically prudent when the mother or fetus has a high risk of complication, many women who don’t need a C-section often get one anyway. Even in low-risk cases, some California hospitals are delivering 70 percent of those babies by C-section. Unnecessary C-sections create unnecessary risks: infection, hemorrhage, even death. Babies delivered by C-section are more likely to have complications and spend more time in the neonatal intensive care unit. That’s not quality health care, said Lang, and that’s why Covered California is telling hospitals they need to reduce their C-section rates to 23.9 percent or lower, for low-risk births. "Low risk" is defined as a healthy, first-time mom carrying a single baby with its head down, all the way to full term (39 weeks gestation). Covered California is joined by Medi-Cal, the state health program for low-income residents, CalPERS, the retirement program for state employees, and the Pacific Business Group on Health, which represents self-insured employers. Together, these groups pay for the health care of 16 million Californians, or 40 percent of the state, which gives them substantial leverage with hospitals. But only Covered California is telling hospitals that if don’t play by the rules, they’ll be benched. “It’s probably the boldest move we’ve seen in maternity care ever,” said Leah Binder, CEO of the Leapfrog Group, a Washington, DC-based nonprofit that rates hospitals on quality. Quality control for hospitals is a recent phenomenon, and still largely voluntary, she said. Covered California’s move is nationally significant, Binder said, given the consequences for hospitals, and the agency’s reach – 1.4 million people buy coverage through the marketplace, and they shop among plans offered by 11 state-approved insurance companies. “The Northeast Business Group on Health, which covers New York and Massachusetts and Connecticut, they will definitely be watching this to see what could be done,” Binder said. Overall, California’s hospitals are on board with the goal. Of the 243 maternity hospitals in the state, 40 percent have already met the target, Lang said, and another 40 percent have taken advantage of coaching and consulting, to help educate the doctors on how they can adjust their practice, and to educate patients who request C-sections about the risks. The effort has raised some concerns among mothers who hear about the 23.9 percent target and worry about rationing. But the coaching, and the kind of system change and staffing levels that can be required to lower C-section rates, might be too costly for some hospitals. State data show there are about 40 hospitals that are still far off the target, including a cluster of hospitals in East Los Angeles that treat low-income, often uninsured, patients. The target rate may not be fair for these hospitals, said Malini Nijagal, an OB/GYN at Zuckerberg San Francisco General Hospital. Her hospital’s C-section rate is already below the target, but she said it won’t be easy for others with more diverse patients. At Memorial Hospital of Gardena, the C-section rate is 45.2 percent. At East Los Angeles Doctors Hospital, the rate is 48.1 percent, according to publicly-available state data listed on CalHospital Compare and Yelp. 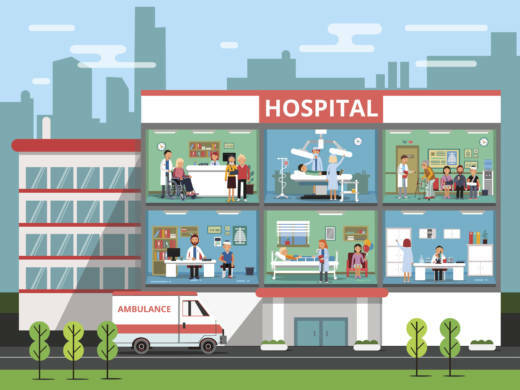 Both hospitals are working diligently to lower the rates, according to Amie Boersma, director for communications for Avanti Hospitals, which owns both hospitals. She said the hospitals will meet the 23.9 percent benchmark and are committed to doing so for the sake of their patients. Being excluded from Covered California health plan networks, she added, would make it even more difficult for those patients to get care. They would either have to pay "out-of-network" fees to be seen there, or they would have to travel farther to another facility that was still in the network. “We are in under-served, economically challenged urban neighborhoods and it is vitally important that we continue to provide appropriate, high-quality care for our communities,” Boersma said. Health plans can request exceptions to Covered California’s contract rules, in order to keep non-complying hospitals in their networks, as long as they document their reasoning. So far, the prospect of exclusion, plus the coaching and education, have functioned as an effective motivator. By the 2020 deadline, Covered California’s Dr. Lang believes all hospitals will either have met the target or be on their way. While the consequences are real, and while it may take some awkward conversations to get there, he said the ultimate goal is to get hospitals to deliver better, safer care to patients. CORRECTION: An earlier version of this story incorrectly listed the quality-care targets hospitals would have to meet to be included in Covered California insurance plans.